Mahogany, reassuringly sturdy and durable. 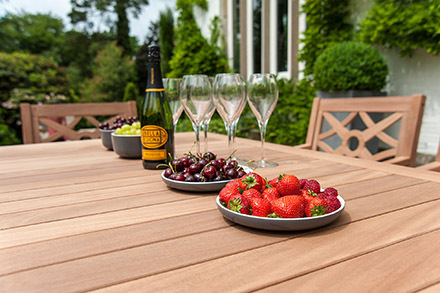 With its distinctive, reddish-brown tone, the Mahogany range will look instantly at home in your garden. Left in its natural state, it ages beautifully to a delicate silver grey. If you decide to treat it, the colour will deepen to a warm, dark red. 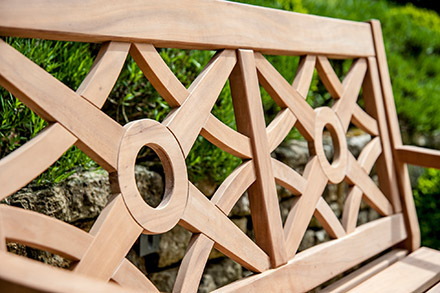 The traditional pieces in the Mahogany range are designed to complement the typical English garden. A strong hardwood with an expected durability of up to 10 years. The wood is pinkish when freshly cut and then darkens to the typical Mahogany reddish-brown. 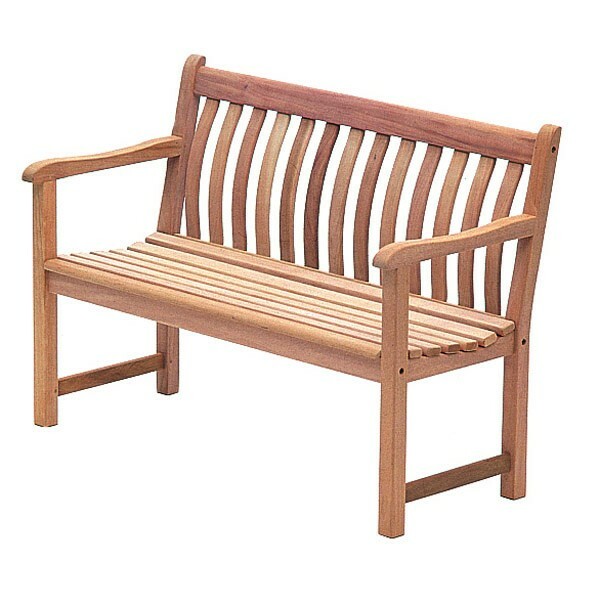 The FSC MIX Mahogany timber comes from the Congo in Central Africa. It will turn to a silver grey colour over a period of 3-6 months. It can treated with Timber Treatment and Timber Sealer, the latter of which is optional. Alexander Rose do not recommend the use of Protector on Mahogany as the colours are not compatible.